Let your customers notify your staff with a push of a button. Help your staff work more efficiently. Cut cost by saving over 1000 of inefficient staff work hours. Show your tenants/guests/customers how much you care. 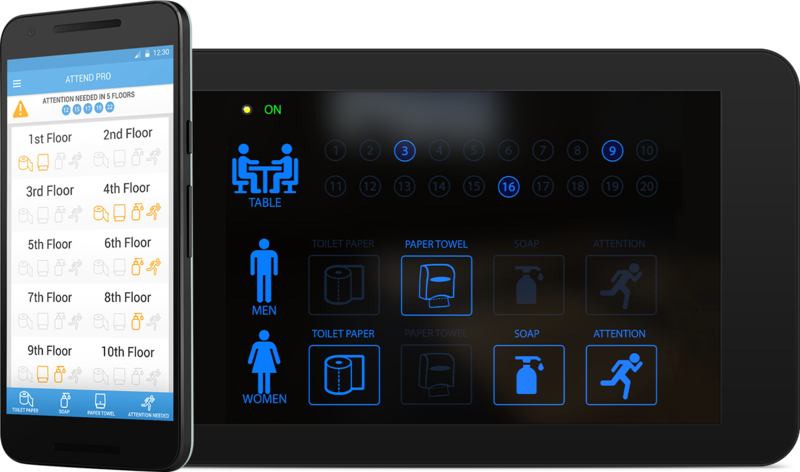 AttendPro allows your tenants, customers, and guests to notify your staff when attention is needed in the restroom with a push of a button. AttendPro gives you the ability to monitor and maintain your mall's stores using a single device. Attend Pro Wifi button allows your customers to notify your servers when they are in need of something from their tables. To request a demo email us at david@attendpro.co or send us your email.